I meant to make these last summer. 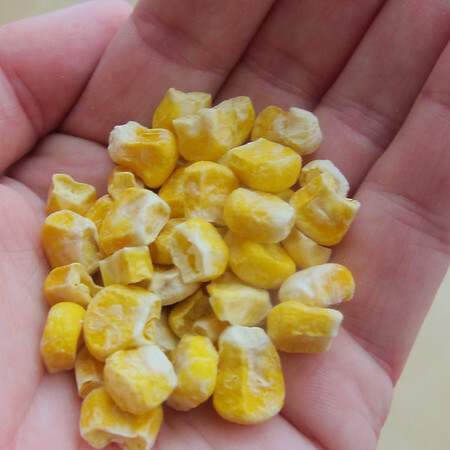 However in that lesson of detail that I seem to learn over and over again, I learned that dried corn and dehydrated/freeze-dried corn are definitely NOT the same thing. And then I got distracted by something shiny and what are decidedly summer cookies (in my head at least) didn’t seem appropriate when I remembered again in winter. Luckily, I’d bookmarked this wonderful creation of Christina Tosi’s and, when reorganizing cookbooks, found it again. In the introduction to the recipe in her book, Milk Momofuko Milk Bar, Ms Tosi explains that she hoarded this recipe for years. And I totally understand why. Go ahead and leave your political viewpoints about corn at the door on this one and just give in to the simple deliciousness. 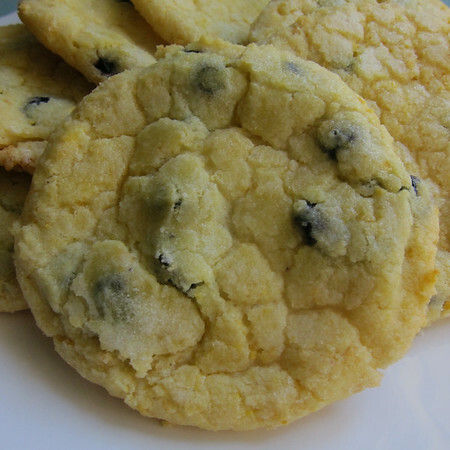 Because I can’t ever seem to leave well-enough alone and my stalking research on Ms Tosi suggests she’d support some tweaks, I adapted these cheery cookies ever so slightly by adding lemon zest and dried blueberries. I also scaled them down quite a bit. They’re soft, chewy and slight crispy and remind me of sunny summer afternoons after a day spent at the beach or pool. I think they’d be even more delicious with a scoop of blueberry ice cream or Milkbar’s own sweet corn cereal milk ice cream sandwiched in between a couple. Note–I use the weight not volume measurements for this recipe. 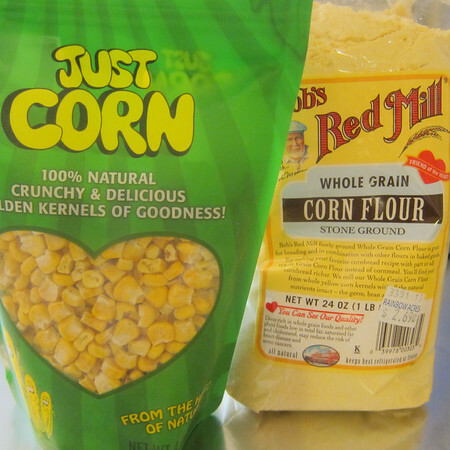 In a medium bowl, whisk together flour, corn flour, corn powder, baking powder, soda and salt. Set aside. Cream together butter and sugar using the paddle attachment of a standing mixer or an electric mixer on high for 3 minutes. Scrape-down the sides of the bowl, add the egg and beat for 7-8 minutes. Reduced the mixer speed to low and add the zest. Then add the flour mixture, combining until the dough just comes together (no more than a minute). Fold in the dried blueberries by hand. 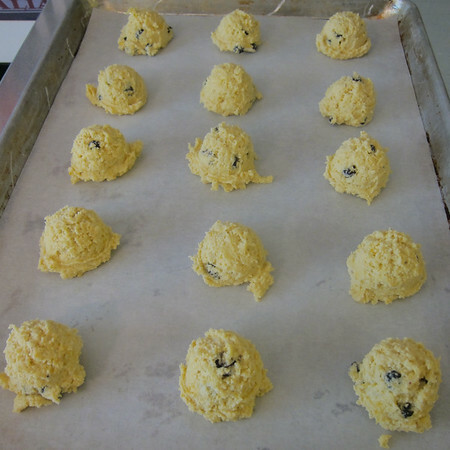 For smaller cookies, use about a one ounce scoop (the original recipe calls for a 2 3/4 ounce scoop) and scoop dough out, placing on to a cookies sheet lined with parchment. Leave a couple inches between each dough mound. Either pat, or use the bottom of a glass dipped in sugar to flatten-out the dough. Wrap tightly and cool in fridge for a minimum of an hour, but up to a week. Arrange chilled dough on parchment-lined baking sheets (they’ll need more room between them then when you put them in the fridge). Leave 2 inches in between each. Bake for 18 minutes. Cookies will puff, crackles and spread. Done cookies will be faintly browned on the edges but bright yellow in the middle. Cool completely on sheets before transferring to a plate, storage container or your mouth. While gathering inspiration for ways to rid my house of Nutella, I came across an absolutely lovely blog called The Cake Merchant. Oboist by profession, baker by passion, this author’s gorgeous photography and creative verve for desserts quickly pulled me in. 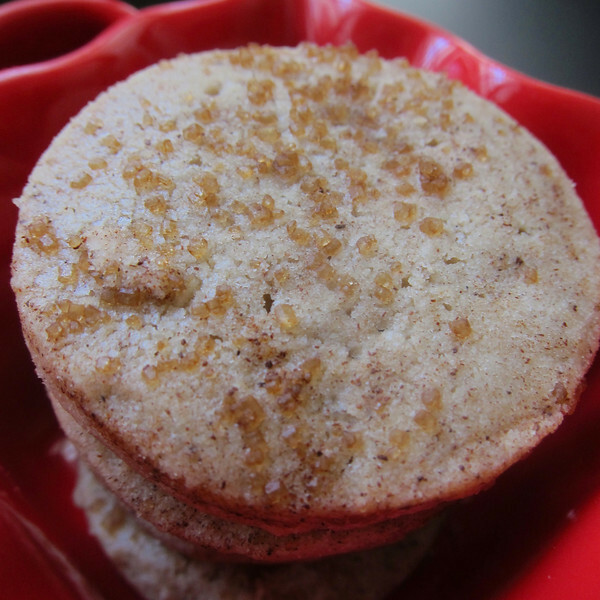 Simple and elegant, what sets these cookies apart is a sprinkling of turbinado sugar that has been doused in cinnamon. Like cinnamon toast, only a smidge more refined. While the smell of cinnamon rising from the kitchen on a May morning felt a little bit anachronistic, these would be a happy treat on a cool fall afternoon with a cup of tea. In a small bowl, combine turbinado sugar and first tablespoon of cinnamon. Set aside. In a medium bowl, sift in flour then whisk-in salt and cinnamon. Set aside. Using a standing or electric mixer, beat butter and sugar until light and fluffy, about 3 minutes. Reduce speed to low, and add-in flour, mixing until just combined. 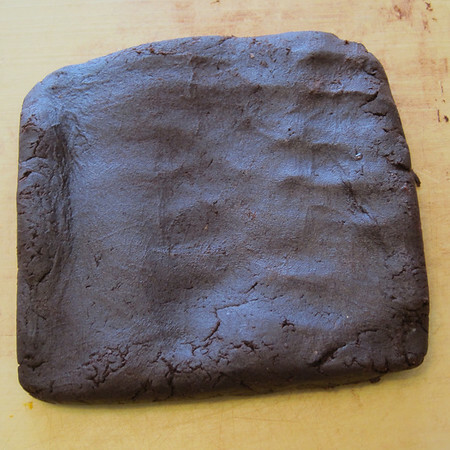 Turn dough out onto a floured work surface and work slightly until dough comes together. Divide dough in half and roll each half into a log (I like to use the cardboard round from paper-towels, split length-wise to help hold shape). Wrap tightly in plastic and either refrigerate for an hour or freeze. Preheat oven to 300 degrees. Line two baking sheets with parchment paper. Slice logs into 1/3-1/2 inch rounds (depending on desired thickness). Please on cookie sheet and sprinkle with turbinado and cinnamon mixture. Press down just slightly so as not to change the shape of the dough, but help the sugar stay in place (you could also brush the cookies with an egg-wash first, then sprinkle the sugar if you didn’t want to press the sugar into the dough). Bake for 18-20 minutes if using from fridge, add-one 3 minutes or so if from frozen. The cookies should be golden brown on top but not around the edges. Cool on wire racks. These will freeze well if tightly wrapped. Have a valentine for whom you’d like to show your looooooove? Need to catch a valentine so that someone will loooooooove you? Well, have I got a recipe for you. It has everything…. Oh, how I miss you Stefon. But seriously. 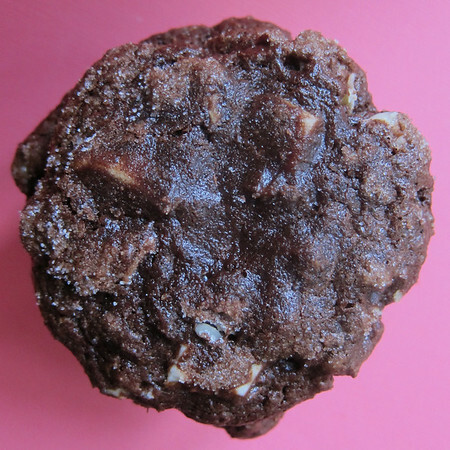 I promise this quadruple chocolate threat cookie will get the job done. And you know what they say. If you can’t be with the one you love, love the one you’re with. Melt butter in a heavy-bottomed sauce pan over low heat. Once butter is melted, remove from heat and add-in the chopped bittersweet and unsweetened chocolates. Swirl pan to cover chocolate (as best as it will) and let stand for five minutes. 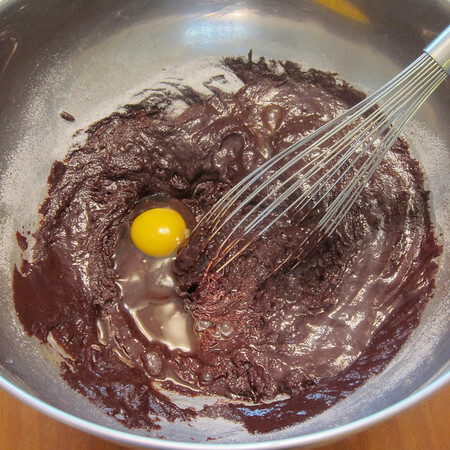 Using a wire whisk, whisk until chocolate is melted and the mixture is smooth. You may need to return to very low heat. Whisk eggs, sugar, espresso powder, and vanilla into chocolate mixture. In another bowl, stir together flour, baking powder, and salt. 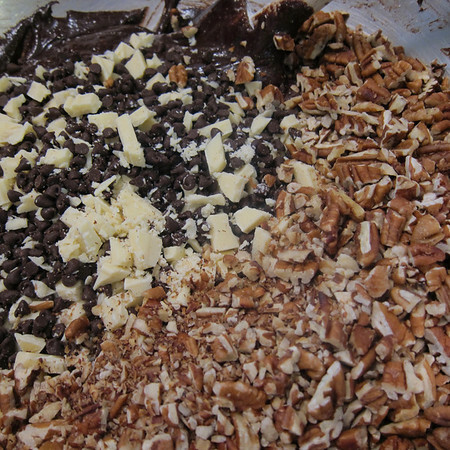 Stir into chocolate mixture until evenly mixed, then stir in chocolate chips and pecans. Wrap dough airtight and chill until firm enough to hold its shape, at least an hour. Using a large scoop (I scooped between 1/8 and 1/4 of a cup), scoop dough, placing it on a parchment-lined cookie sheet with two inches in-between (I fit about 8 drops of dough on a half-sheet). Preheat oven to 350°. Line 2 large baking sheets with parchment paper. 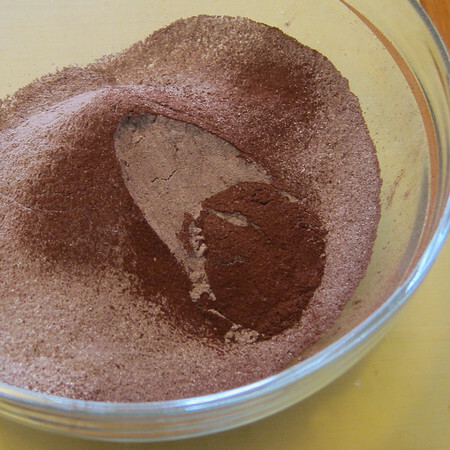 Dip the bottom of a pint glass or even round surface in sugar or cocoa powder. Gently press down each drop/ball of dough until flattened slightly (the chunks in the cookie should help to keep the thickness at about 1/2 and inch). Bake until cookies no longer look wet and you can feel a slight crust on top, about 10 minutes (don’t overbake); switch position of baking sheets halfway through. Let cookies cool on sheets on racks. Cookies freeze nicely up to two weeks in air-tight containers or freezer bags. The view off of the back porch of my parent’s house for the first couple of days we were there. TD and I spent the Christmas holidays with my family up in Montana. There was lots of eating and drinking and general merry making by all involved. 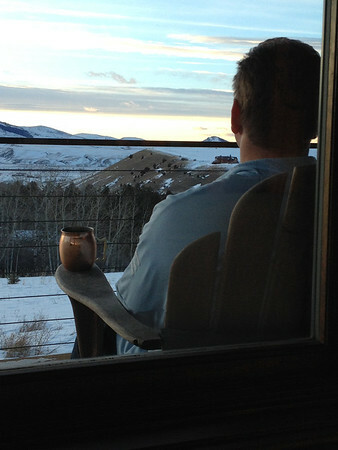 TD enjoying a Moscow Mule and the gloaming. While my parents currently live right outside of Bozeman, their first Montana love (and house) was up in Big Sky. 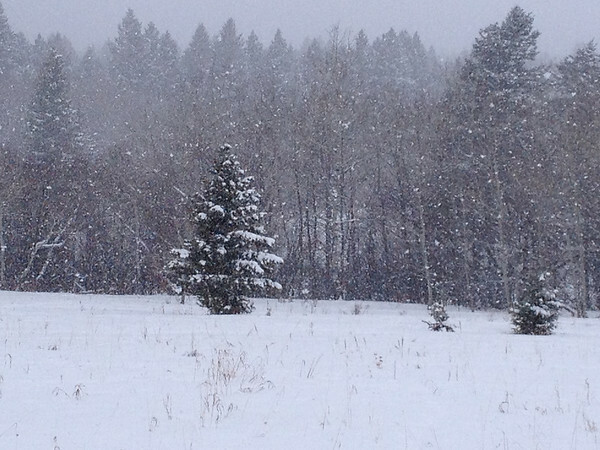 A couple of days before Christmas, we wandered up the pass to Big Sky for lunch at the Lone Mountain Ranch. The property is located just up the road from my parent’s place in the Big Sky Meadow and I’ve hiked their trails in the summers. Among other things (like the fact that you get your own horse for the whole week you stay there), the Lone Mountain Ranch is known for its locally sourced, gourmet lunch and dinner menus and is open to the public (though they don’t offer us occasional diners a pony for the duration of the meal). 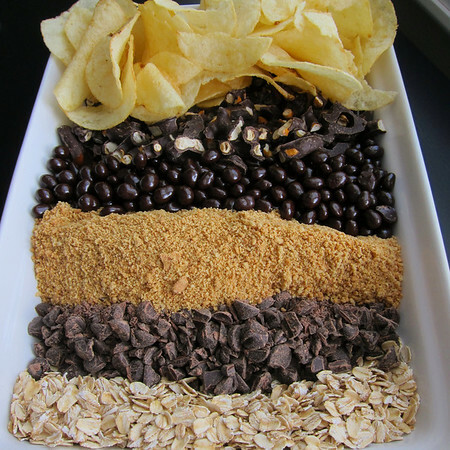 One of the constants on their impressive dessert buffet is a hearty, oaty trail mix sort of cookie. Intrepid baker that she is, my mom somehow finagled the recipe from their pastry chef. And now I’m sharing it with you. Similar to other recipes of this type, the add-in combinations are endless. I’ve included the recipe in its original but immediately began experimenting. 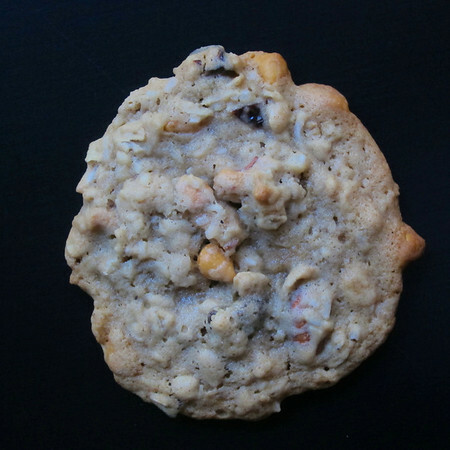 The cookies here have the almonds and cashews but I also added-in butterscotch chips, dried cranberries, golden raisins and shredded coconut (about 7 ounces). These babies freeze well. And, to be honest, taste better the longer they’re around. In a separate bowl, sift together flour, baking soda and cinnamon. Set aside. 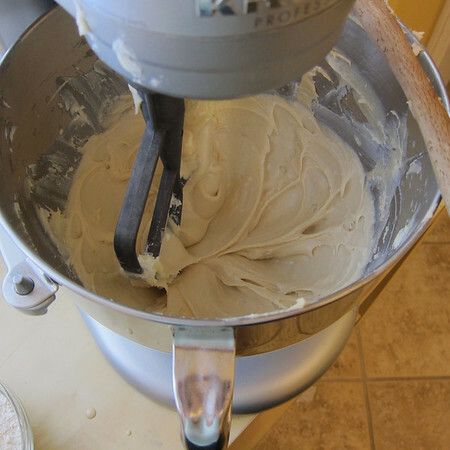 In a standing mixer fitted with a paddle attachment, cream butter until light and fluffy (2 minutes in a stand-mixer). Add-in both sugars, cream for 3 minutes. Mix-in eggs one-at-a-time (mixing until combined in between each). Lower speed and mix-in honey. Set to lowest speed, add in flour and mix until just combined. 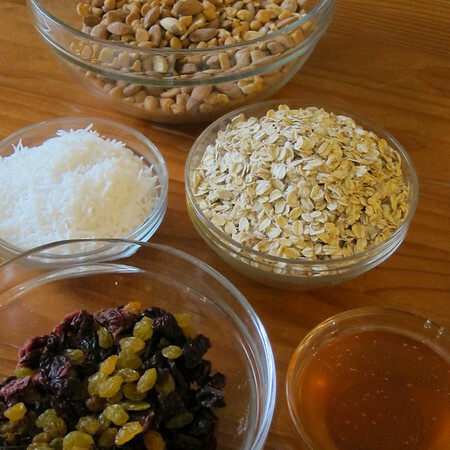 By hand, incorporate oats and fruits, nuts and add-ins. 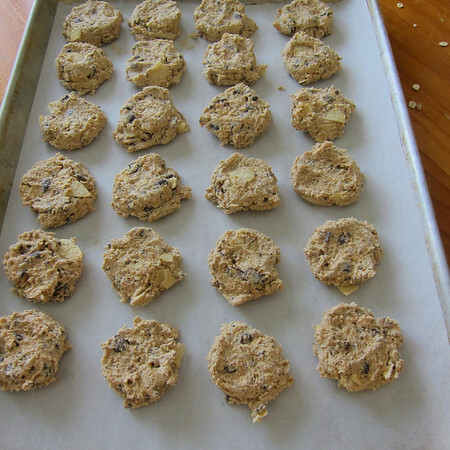 Drop 1/4 cup mounts of dough onto cookie sheets leaving plenty of room for the cookies to spread. Bake for about 15 minutes until golden brown (or fewer if you like your middle a little soft). Allow cookies to cool on baking sheets before removing. TMH note–I think these only got better over time. Make a day or two in advance and give them time for the flavors get groovy. You know, like those old Yahoo commercials. And just like that, it’s time to start testing holiday recipes. I’m planning a couple of new tricks this year in addition to some old favorites. 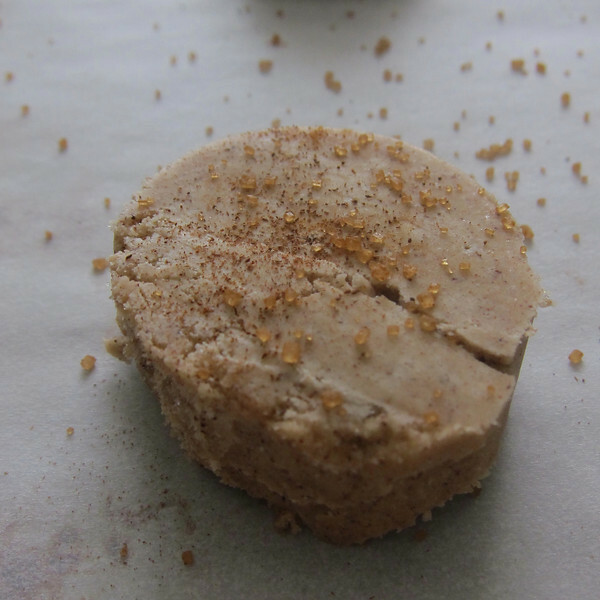 Dorie Greenspan’s speculoos buttons may just make the cut. This recipe graced the cover of Bon Appetit during the holiday season 2012. However, it’s taken me nearly a year to get back to it. But, a recent, coolish Southern California Sunday had me pulling out the recipe and checking my sanding sugar supplies. 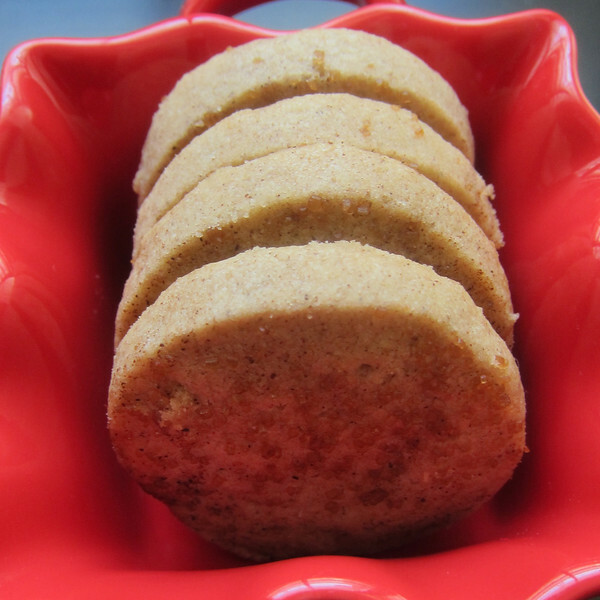 The speculoos “buttons” are a variation on the thinner-crisper original speculoos cookies that appear in Dr. Greenspan’s Around My French Table. While the thicker version feel more gingerbread than speculoos, the spice mixture is right on the mark in “holidayness.” The original recipe includes a glaze but I’ve left it off here because I thought the color of the cookies was so pretty. And, I don’t even know what to make of all that crazy business over the speculoos butter at Trader Joes. So, I’m not even going to go there. Whisk first 6 ingredients in a medium bowl; set aside. 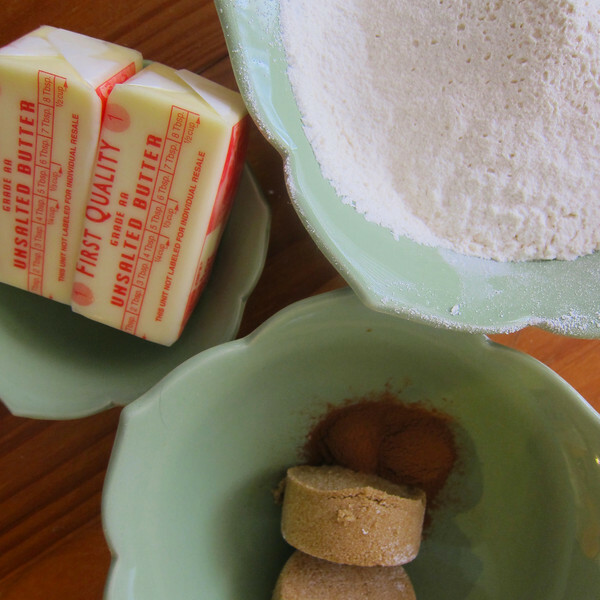 Using an electric mixer at medium speed, beat butter in a medium bowl until smooth, about 2 minutes. 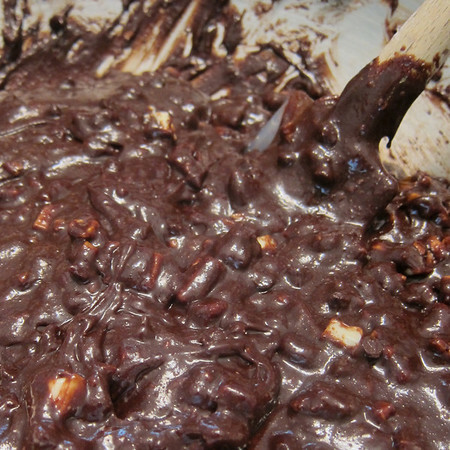 Add both sugars and molasses; continue to beat until mixture is smooth and creamy, about 3 minutes. Beat in egg and vanilla; mix for 2 minutes. Reduce speed to low; add dry ingredients and mix to blend well. 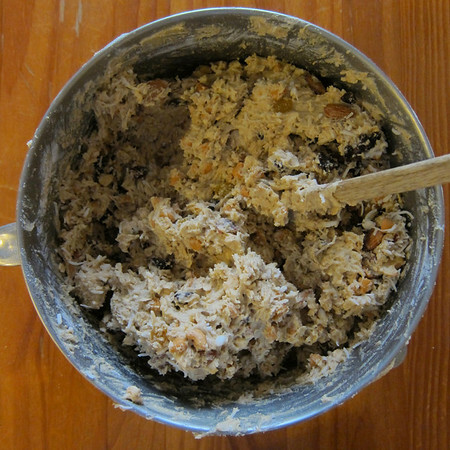 Scrape dough from bowl and divide in half. Using your palms, roll each piece of dough into an 8-inch log. 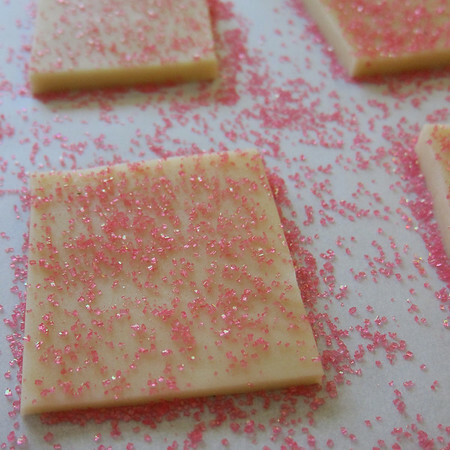 Fill a shallow dish or 1/4 sheet baking pan with sanding sugar (1/2 C should do it for you). One-at-a-time, place dough log into pan and roll back and forth until the log is covered in sugar. Wrap logs tightly in plastic or parchment paper and freeze for at least 3 hours. Dough can be made up to 2 months ahead. Keep frozen. Arrange racks in top and bottom thirds of oven; preheat to 375°. Line 3 baking sheets with parchment paper or silicone baking mats. Let’s make some compost cookies! I think any kid who has ever had an interest in baking has tried-out the garbage cookie “recipe.” You know, throw everything that seems like it might taste good into a batch of basic dough. 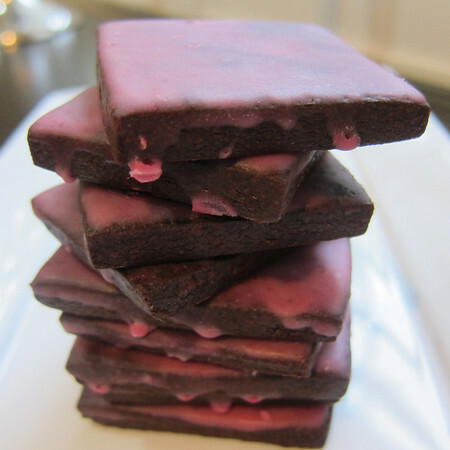 Note–the picture below is right before I wrapped them to cool-down. For baking they need a little more room. Christina Tosi of Milk fame absolutely did this. And then she grew up and made a living out of it. I wish I’d thought of that! I’ve listed the original recipe below. But come on, this cookie recipe begs for improvisation. In addition to the listed ingredients, I threw in some chocolate covered pomagranate seeds and chunks of chocolate-covered-peanut-butter-filled pretzels. Oh, and I guess I should admit. I just used store-bought graham crackers instead of making the crust. I’m a slacker. You can also find some of the recipes from the book on the milk momofuko milk bar site. 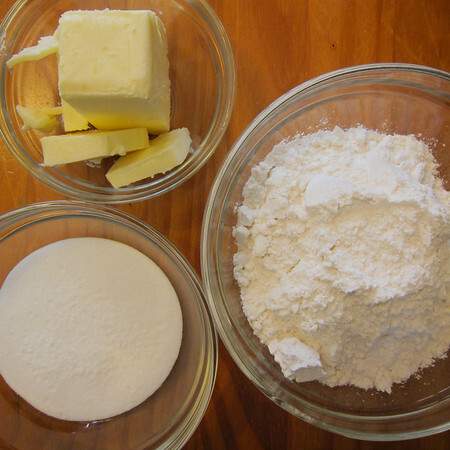 Combine the butter, sugars, and glucose in the bowl of a stand mixer fitted with the paddle attachment and cream together on medium-high for 2 to 3 minutes. Scrape down the sides of the bowl, add the egg and vanilla, and beat for 7 to 8 minutes. Reduce the speed to low and add the flour, baking powder, baking soda, and salt. mix just until the dough comes together, no longer than 1 minute. 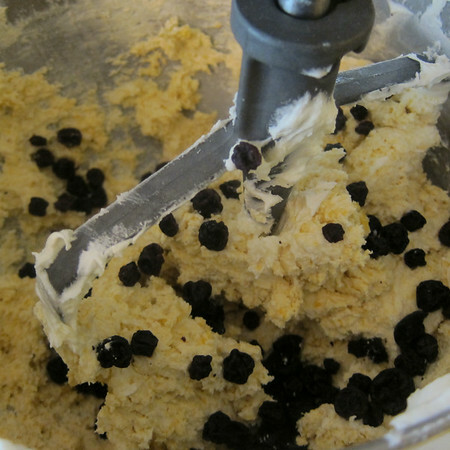 (do not walk away from the machine during this step, or you will risk over mixing the dough.) Scrape down the sides of the bowl with a spatula. Still on low speed, add the chocolate chips, butterscotch chips, graham crust (or graham cracker crumbs if you are lazy like me), oats, and coffee and mix just until incorporated, about 30 seconds. add the potato chips and pretzels and paddle, still on low speed, until just incorporated. be careful not to over mix or break too many of the pretzels or potato chips. you deserve a pat on the back if one of your cookies bakes off with a whole pretzel standing up in the center. Portion out the dough onto a parchment-lined sheet pan (I used about 1 1/2 TBS per cookie, Christina Tosi is more of a go big or go home kind of girl and recommends using a 2 3/4 ounce scooper). Pat the tops of the cookie dough domes flat. Wrap the sheet pan tightly in plastic wrap and refrigerate for at least 1 hour, or up to 1 week. Do not bake your cookies from room temperature— they will not bake properly. Arrange the chilled dough a minimum of 4 inches apart on parchment- or silpat-lined sheet pans. bake for 18 minutes. the cookies will puff, crackle, and spread. After 18 minutes, they should be very faintly browned on the edges yet still bright yellow in the center. Give them an extra minute or so if that’s not the case. 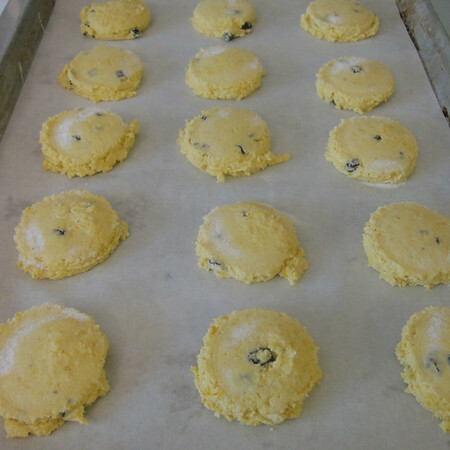 Cool the cookies completely on the sheet pans before transferring to a plate or an airtight container for storage. 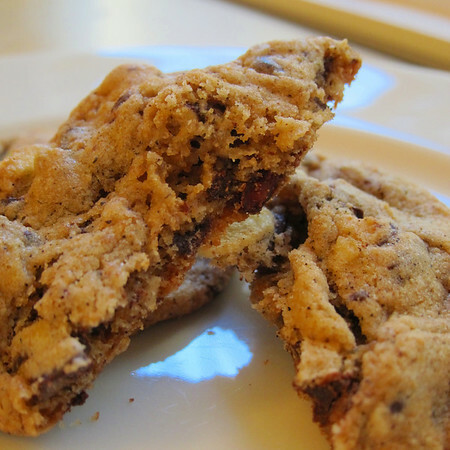 at room temp, cookies will keep fresh for 5 days; in the freezer, they will keep for 1 month. Toss the graham crumbs, milk powder, sugar, and salt with your hands in a medium bowl to evenly distribute your dry ingredients. Whisk the butter and heavy cream together. add to the dry ingredients and toss again to evenly distribute. 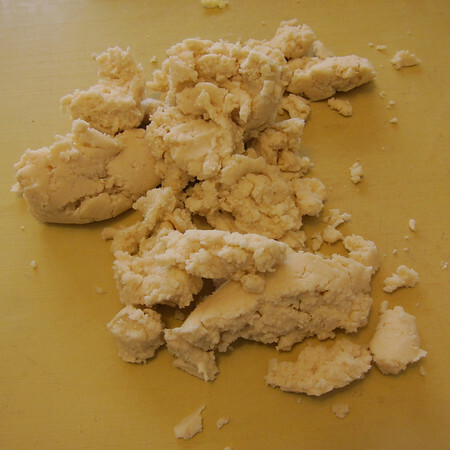 the butter will act as glue, adhering to the dry ingredients and turning the mixture into a bunch of small clusters. The mixture should hold its shape if squeezed tightly in the palm of your hand. if it is not moist enough to do so, melt an additional 14 to 25 g (1 to 1½ table- spoons) butter and mix it in. Eat immediately, or deploy as directed in a recipe. The crust is easiest to mold just after mixing. stored in an airtight container, graham crust will keep fresh for 1 week at room temperature or for 1 month in the fridge or freezer. Open (your mouth) says me! Today, we move away from the gluten free toward the exotic (not that the two have to be mutually exclusive). All year I’ve been trying to make my way back to Yotam Ottolenghi and Sami Tamimi’s cookbook Jerusalem. Their chocolate krantz cakes remain one of my favorite recipes for 2013. So, I was happy to finally find some space to tackle one of the many recipes I’ve dog eared. This recipe is all about the sesame. Tahini to be specific. Until now, I’d always associated the seed paste with savory–most notably as a key ingredient in hummus. However, after experimenting with black sesame in ice cream and macarons, I knew these little seeds had the ability to transition like champs. And so, by transitive property, should their paste. I found tahini in a larger, local grocery store in the international foods section (a sort of antiquated descriptor that always brings to my mind 1970s housewives and canned chow mein noodles). The recipe calls for light tahini paste but I could only find regular. As a note–double check the ingredients before purchasing. I assumed tahini paste and tahini sauce were the same thing. Not so much. Tahini sauce has garlic in it. 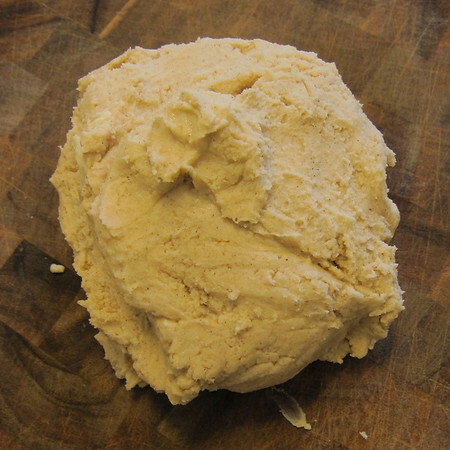 This is a sticky dough that is finished unusually by dumping it out of the mixer and kneading it a few times until everything is just combined. I’ll admit, I used a food scale to get uniformly-sized cookies. I wasn’t following directions closely enough and added the cinnamon with the other dry ingredients rather than dusting each raw cookie with a sprinkle. Oops. So, I improvised the garnish and sprinkled the tops of each with a few sesame seeds. 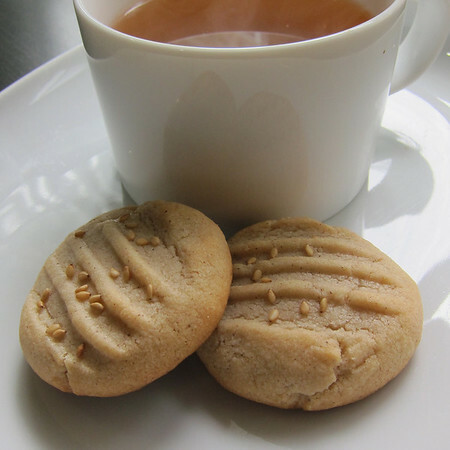 These cookies have a very mild, slightly nutty taste with just a touch of spice and a texture that begs them to be enjoyed with a cup of tea. I have a sneaking suspicion that these little goodies will make their way into my holiday baking this year. As for open says me. Or, open sesame rather. I remember learning the origins of this phrase in a folklore course I took in college. I can remember the quarter I took the class, where I sat and the professor’s pointy beard. I also remember the lecture was used as a way of demonstrating how certain phrases are mythologized well before their supposed first appearance, in this case in Ali Baba and the Forty Thieves from One Thousand and One Nights. What I can’t remember of course, is the original story. So, I went with Popeye and completely bastardized the magical words, a-ga-ga-ga-ga-ga-ga.
2/3 C/ 150 g unsalted butter at room temp. Preheat oven to 400 degrees and line 2 sheet pans with parchment. 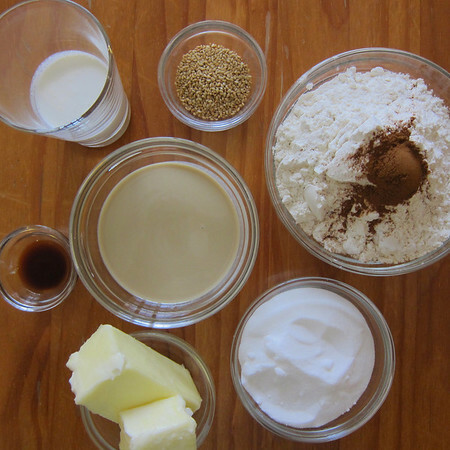 Cream together sugar and butter in a stand mixer or use hand mixer on medium speed for 1 minute. With the machine running, add-in tahini, vanilla and cream until combined. Add-in flour and mix for one-minute until the dough comes together. Transfer to a work surface and knead until smooth. Pinch-off 2/3 ounce / 20 g / 1 1/2 TBS dough and roll into a ball. Use the back of a fork to push down lightly on top of the ball so that it flattens just slightly and takes on the tine marks. 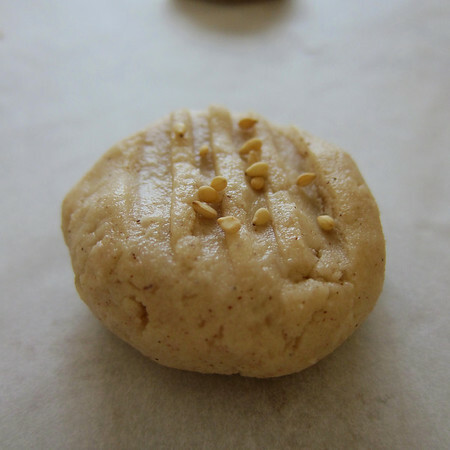 Place on lined baking sheet and sprinkle with cinnamon and sesame seeds. Continue with the remaining dough, spacing cookies about 1 1/4 inches apart (they won’t spread much). Bake for 15-17 minutes until golden brown (watch the bottoms of the cookies). Cool before serving. Will keep in sealed container for up to 10 days. What? That doesn’t work? Fine. We continue our adventures with gluten free baking this week. In general, my weekly trips to Trader Joes are precise, surgical and leave little room for casual perusal. Experience has taught me that unless I show up at a specific Trader Joes right as it opens on Sunday morning, the shopping experience will leave me wanting to poke someone’s eye out with one of those little toothpicks they use to serve the samples (see blog name for explanation). Every once in a while (like once a year), I get lucky and it seems like the only people in the store are me and the friendly staff. This happened recently and I actually paused to look around the nut butter section while picking up the sun butter for last week’s post. This was probably a bad idea on my part because what did I spy with my little eye? 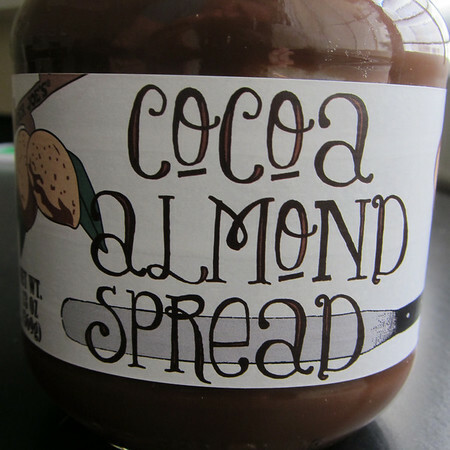 None other than Nutella’s American cousin: Cocoa Almond Spread. For reason’s I’ve just explained, I’d never seen this concoction before and knew immediately that I had to make something with it (this has absolutely nothing to do with a strong desired to sit down with the jar and a spoon…how dare you suggest this). The spread has the same consistency as almond butter (duh). Thicker than nutella. It’s also less sweet than the hazelnut version (though still sweet enough to reduce the sugar in the recipe). As soon as I got home, I pulled my almond flour out of the freezer and got to work using the sun butter blossoms recipe as a blueprint. The almond flour obviously behaved very differently than the corn flour and, with about a tablespoon and a half of dough, I go beautiful, perfectly round 3 1/2 inch cookies. They had a nice texture reminiscent of their fancier kin, the macaron. Seeing the finished versions cooling on their wire racks sent my brain to a singular place. 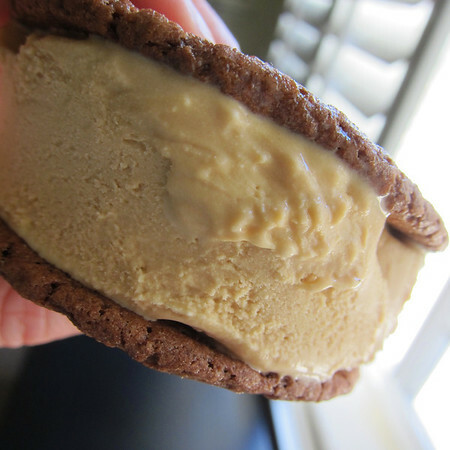 That’s right, these made the perfect ice cream sandwich cookies. 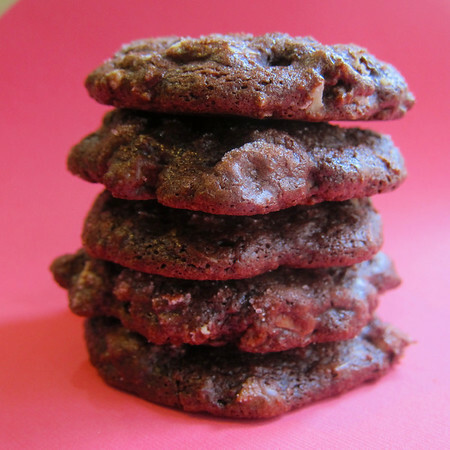 You could also spread a nice layer of the cocoa almond butter on the inside of a cookie, top it with another and you’d have yourself an excellent sandwich cookie. Using a standing or hand mixer, cream together the sugar and cocoa almond butter for two-to-three minutes. Beat-in the egg and vanilla until batter is smooth. By hand, sift-in flour and baking powder and then fold until the flour is just combined into the batter. 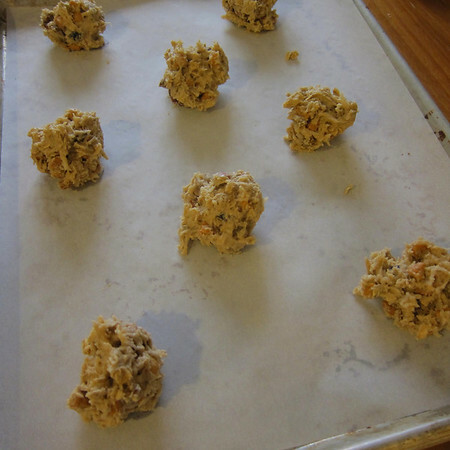 Roll batter into balls using about 1 1/2 TBS (less if you want a smaller cookie). Set balls on lined baking sheets about three-inches apart. Cookies will spread significantly (diameter will nearly triple). Bake 8-10 minutes until cookies appear set. 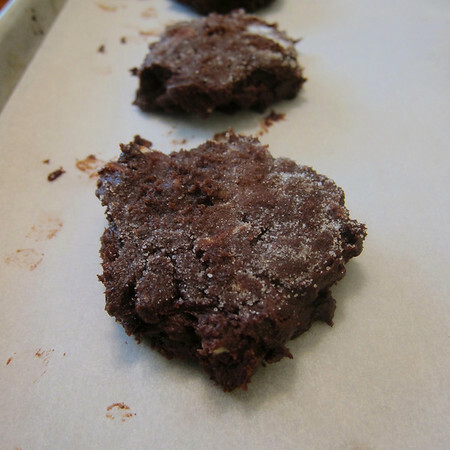 Slide parchment off of cookie sheets and allow cookies to cool on the parchment. 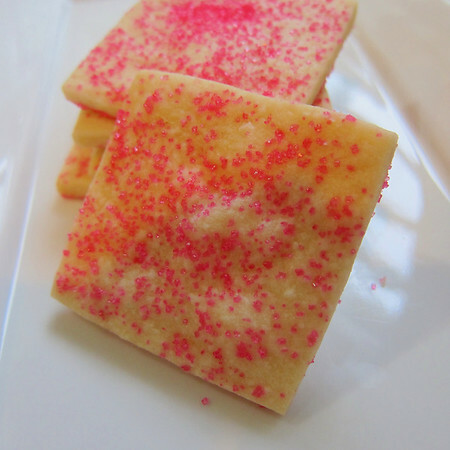 A while back, I experimented with a Thomas Keller shortbread recipe. As a note in the recipe, he casually throws out a slight alteration for chocolate shortbread. I couldn’t resist. 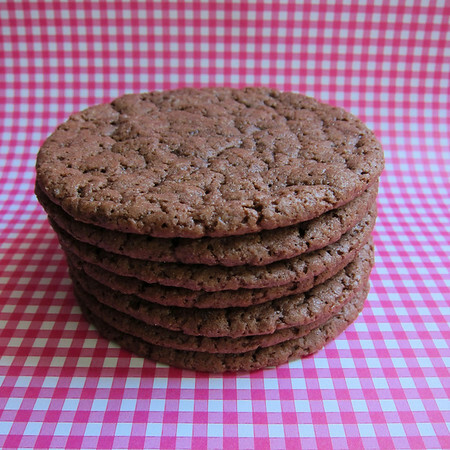 The substitution is simple–just replace some of the flour with high quality dutch-processed cocoa. Because I can’t leave well enough alone, I also added the zest of an orange to the dough. 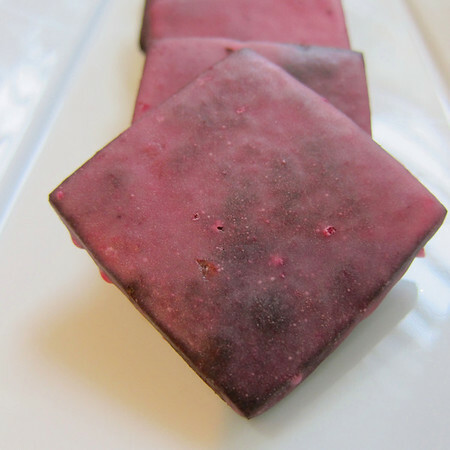 Then I iced each little square with a simple concoction of confectioner’s sugar and blood orange juice. These were really intense. And, in my opinion, better than the original shortbread recipe. Place the butter in the bowl of a stand mixer fitted with a paddle attachment. Cream until smooth on medium-low speed. Add 1/2 C (90 grams) sugar and the slat, mix on medium for about 2 minutes until fluffy. Scrape down the sides and bottom of the bowl. Add the vanilla and mix on low speed for about 30 seconds to distribute evenly. Add the flour and cocoa in two additions, mixing on low speed for 15-30 seconds or until just combined. Scrape the bottom of the bowl to incorporate any flour that may have settled. Mound the dough on the work surface and, using the heel of your hand or a pastry scraper, push it together into a 5-inch square block. Wrap in plastic and refrigerate for at least 2 hours, until firm. Position the racks in the upper and lower thirds of the oven and preheat to 325 degrees. Line two pans with parchment paper. 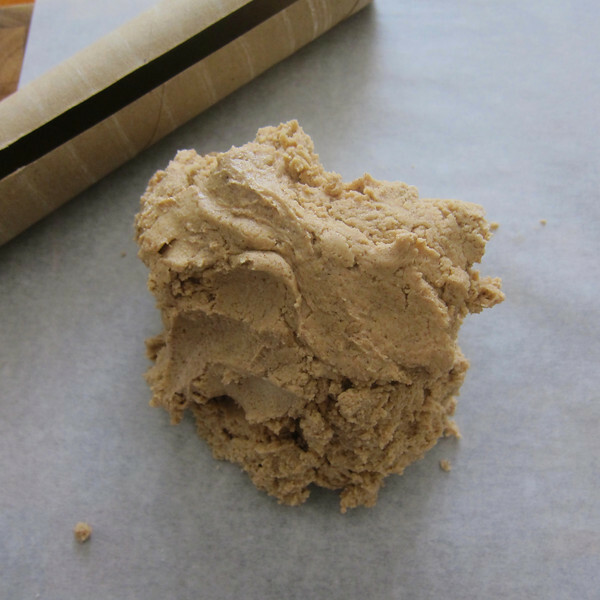 Unwrap the dough and place between two pieces parchment paper. 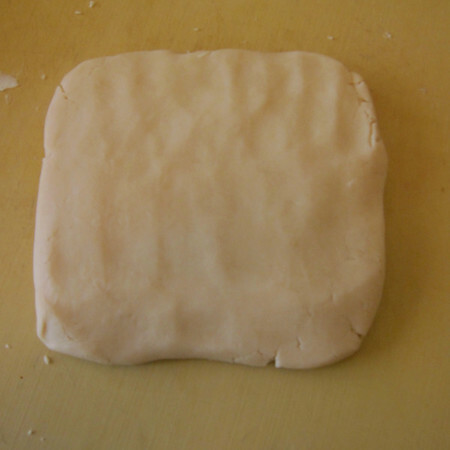 With a rolling pin, pound the top of the dough working from left to right to begin to flatten it. Turn the dough 90 degrees and repeat. Roll-out to a 9 inch square. If the dough has softened, slide it (still inside the parchment) onto the back of a sheet pan and refrigerate until firm again. Using a chef’s knife, cut the dough as desired. 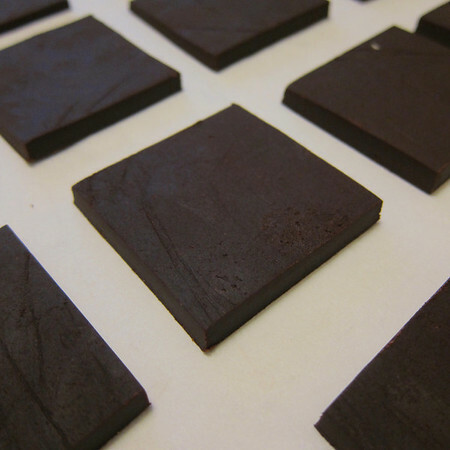 The original recipe calls for 3 cuts horizontally and 5 cuts vertically so that you have 24 2 1/4X 1 1/2 inch pieces. Dust the tops of the dough with sugar and arrange on baking sheets leaving 3/4 inch in between each. Bake until pale golden brown, 17-19 minutes. Set the pans on a cooling rack and cool for 5 to 10 minutes, transfer the cookies to the rack to cool completely. If you would like to ice the cookies, begin with 1 cup of confectioner’s sugar, whisk in orange juice or water 1 TBS at-a-time until the icing is of desired consistency. Dip cookies and allow icing to dry. I have made no secret of my love for sandy, crumbly cookies. Sables, sandies and shortbreads all tickle my fancy as an enjoyer of baked goods, if not as a baker. I am always on the hunt for the perfect shortbread recipe and constantly in awe that something with so few ingredients can prove so elusive (though I suspect it is because of the simple ingredients). So of course, I had to try the one included in Bouchon Bakery (I really didn’t intent two weeks in a row from the same book). Time in the fridge, check. And here is where he started to lose me. I realize it is a personal preference, but rolling-out shortbread isn’t my thing. I prefer to press or roll the dough into a log. Admittedly, I rolled them out too thinly. And while the result had a nice crumbly texture, they tasted a little too sugar-cookie to me. TD said they tasted like shortbread. But, he’s not a huge fan of the buttery baked good so he only gets a half vote. Add the flour in two additions, mixing on low speed for 15-30 seconds or until just combined. 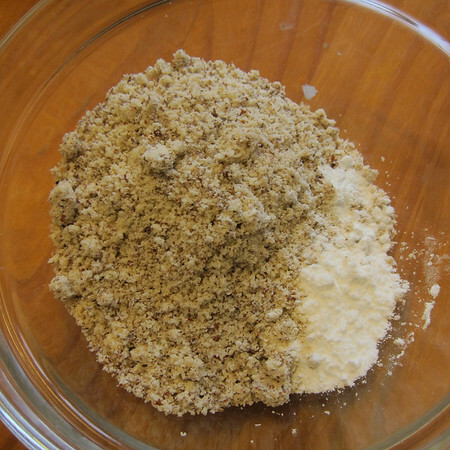 Scrape the bottom of the bowl to incorporate any flour that may have settled.